all photos/video courtesy openbuildinginstitute.org. Donate to their kickstarter here. Do we, each of us, have a right to shelter and food? A friend of mine uses a Martin Luther King quote as part of his email signature. It seems especially poignant right now as we weather a social climate that is exceedingly animus. Cowardice asks the question – is it safe? Expediency asks the question – is it politic? Vanity asks the question – is it popular? But conscience asks the question – is it right? but one must take it because it is right. In addition to social ills that include race relations, economic challenges and religious non-understanding, there are those among us that need help with the basic human needs of shelter and food. As a society are we obligated to provide these basic human needs? Marcin Jakubowski thinks that making home and hearth more affordable, and less resource intense, is not only do-able but right. He is working on an open source initiative to make affordable eco-housing widely accessible. Along with a host of consultants on everything from energy to compliance to architecture, he calls his endeavor the Open Building Institute. He knows it can work because he has done it. And he believes that you can do it too. kickstarter linkThe idea is that each one of us, either with friends or hired help, can build a home. The Open Building Institute will provide the knowledge: a library of modules and instructions, building materials production facility, training, even a certified builder if you so desire. You begin with what you can afford…could be a tiny starter module with a kitchen, bathroom and loft. As you can afford you add an aquaponic greenhouse for growing food and fish, maybe a separate bedroom, perhaps another bathroom and a library or office. The home is made from CEB (compressed earth blocks) from on site soil, uses solar panels for energy, hydronic in-floor heating. The home operates off the grid and grows as finances and needs change. No mortgage (unless you mortgage the land), no power bills, lower grocery bills. I’m 100% in favor. Yes, I do believe that we all have a right to shelter and food. And we also have a responsibility to work toward that end. If you want to support the Open Building Institutes Kickstarter you can be part of this solution. Donate $20 and get a book laying out the OBI method. Donate $500 and you can participate in a 5 day build and learn all the nuts and bolts of this system. In case you were wondering, I have no connection to Marcin Jakubowski or Open Building Institute. This project was forwarded to me by a mutual friend, Nat Turner, who you may remember hearing about in Parti* Notes. https://i0.wp.com/leslielaskinreese.com/wp-content/uploads/2016/07/open-building-institute6.jpg?fit=1400%2C450 450 1400 Leslie http://leslielaskinreese.com/wp-content/uploads/2015/05/logo15.png Leslie2016-07-14 22:28:002016-08-03 21:55:04is it right? Let me just take you on a tour of how my mind works. Tomorrow is Veterans Day. So I decided to reprise a couple of earlier posts, find some new info and offer a chance to thank (and help) our veterans. First stop was Cup of Joe for a Joe. This is an organization that provides a cup of coffee, purchased by you and me, to veterans. But I hear that they don’t offer a discount to veterans in all of their shops so for an hour I got sidetracked into researching whether to recommend this group (I do). In the meantime I’m looking at pictures of veterans and remembering that The Civil Wars were talking about repairing their rift. So I searched out their website (I swear Google is the source of ADHD) and found out that no, they haven’t repaired their rift and the break up is for real. But they have offered us a song by way of gratitude (and maybe apology). So enjoy the song…it’s an awesome rendition of ‘You Are My Sunshine’. And now I’m getting back to where I started. Thanking our veterans by helping out. This is my favorite….if you’re in line for coffee or at a restaurant having a meal and you see a vet in fatigues, pay their bill. Even if it means you have to order less. Cup of Joe for a Joe is another option…I’ve donated and gotten a couple of sweet notes back. And I’ll do it again. Yesterday in New York City, Veteran Artist Program (VAP) presented their latest show ‘Telling’ featuring the stories of 7 returned veterans in their own words and by their own voices. In addition VAP offers opportunity for veterans to express themselves through the visual arts, performing arts, writing/literature, film/video, and new/interactive media. Go see a VAP show, donate to the organization, partner with them by becoming an ambassador. The employees at EcoVet are veterans trained to build furniture. They create rugged and beautiful furnishings from the salvaged material pulled from decommissioned tractor trailers. LEED points people. Build a house for an injured veteran. Homes For Our Troops builds accessible homes for returning injured veterans. You can help by donating money, offering supplies, giving your sweat equity, buying their merchandise. Check their website and find a veteran neighbor that could use your help. To our vets, from the bottom of my heart I thank you for the service that you do and the sacrifice that you make. Small living has been getting bigger and bigger the last few years. Between slim wallets and the growing interest…and let’s be honest, dire need…to build more sustainably, the mcmansions of the last century seem to be falling out of favor. Can we all say hallelujah? (Any excuse for a little Leonard). When designers and architects are faced with constraints, it allows opportunity for some pretty impressive creativity. Four of this year’s AIA award winners for small projects are featured in FineHomebuilding and include the Fall House, designed by Fougeron Architects, along my very favorite stretch of California coastline. The three bedroom vacation home sits on the land quietly, following the natural curves of the site, and is wrapped in glass to honor the beauty outside. And to add my own bit of love to the story, it is near enough to Esalen to run on over for a quick tub in their natural spring fed hot tubs (that is if you tire of that awesome built-in glass tub). And for the rest of us, small is growing as well. There are ‘tiny house’ blogs and websites, and it seems that every couple of months there’s another news story about a family downsizing and simplifying. Karen Baumann and her two large dogs live in 460 square feet in Marin County, one of the country’s most expensive areas. She says that living small allows her to spend less time cleaning and organizing and affords her more time and money for the things she loves like entertaining and traveling. Micro-apartments are also becoming quite the rage, especially in the most expensive cities around the globe. Curbed has a column dedicated to micro-dwellings which seem to get smaller and smaller. The smallest they’ve listed so far in San Francisco is a mere 200 square feet (that rents for a whopping $1275 per month). And in Paris these micro-apartments get even smaller. Architect Julie Nabucet’s 129 square foot apartment includes an elevated kitchen above a bed/couch in a drawer, linens that tuck away and a tiny bathroom. This is a bit too small for anyone with, say, clothes, but somewhere between the 129 square foot apartment and the 2600 square foot average home size, is the right house for most of us who are trying to simplify and live within the means of our limited ecosystem. I don’t read the online magazines that feature opulent houses with overdone window treatments and too many pillows on the sofa. I read the online magazines that talk about the future of design and architecture. That includes building small, building sustainably, and building smart. Check out these three homes. it allows light to penetrate into the house through the many protected windows reducing the need for artificial light. All images courtesy TSC Architects. Another project in Japan, Materia found this one which is built at Waseda University. The home is self heating as a result of walls that continually compost, keeping the home at an even temperature year round. And the house is continually making black gold for the garden! Built on a small, steep, tree covered lot in Portland, Benjamin Waechter designed this home to go up rather than out to minimize environmental impact. The home is also wrapped in corrugated steel with rounded corners to minimize the additional need for trim at square corners. A beautiful light filled home on a difficult lot…proof that constraints can encourage greater creativity. The water is off on my street today, so I called my friend Jane to see if I could pop over occasionally to use the loo and maybe grab a drink. She’s English….that’s why I’m popping and loo-ing. So I was over this morning and noticed she had a lamp in her bathroom light fixture that I hadn’t seen on the shelves. 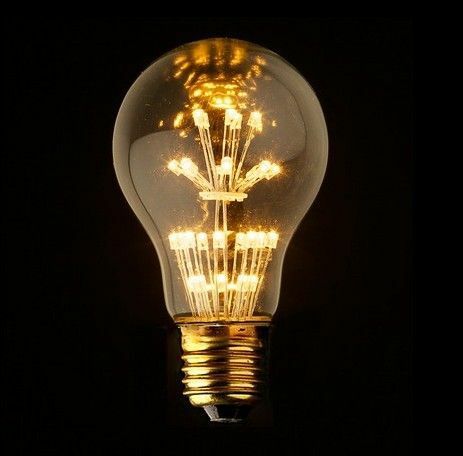 Here I am back home in my own dry house researching this very interesting lamp and lo and behold it is an LED version of the much hated Edison lamp! I found a few styles, most made in China so far, but very interesting indeed! Color temps as low as 2700k, CRI over 80, no heat sink, 50k hours…am I dreaming? Oh happy day! I even found a decorative fixture that is really modern and rivals the coolest of the simple, hanging Edison lamp. Can I take 3? It’s a good day indeed! https://i1.wp.com/leslielaskinreese.com/wp-content/uploads/2015/04/led9.jpg?fit=463%2C456 456 463 Leslie http://leslielaskinreese.com/wp-content/uploads/2015/05/logo15.png Leslie2014-04-08 13:56:482016-08-17 00:35:38Edison lamp redux! what do biorhythms have to do with silicon valley? Two of my biorhythms are down today. It’s one of those ‘I just feel crappy and I want to go back to bed’ days so I went online and checked. Yup, physical and intellectual are down, but at least emotional is up. So I can laugh. Around May 17 it’s even worse, so you’ll want to give me a wide berth. But come the end of May it’s party time in my world! When I was in high school, my math teacher, Mr. Headley, installed a computer that filled a classroom. He created a program that told us all what our biorhythms were doing. My math teacher was also Steve Jobs’ math teacher. I lived in a world of super nerds amongst apricot and cherry orchards that would eventually all be razed to create Silicon Valley. And raze they did, then they built it all up. And unfortunately, not in a very nice way. The last orchard was levelled about a decade ago, and in its place yet more concrete. Probably another parking lot. Silicon Valley was designed around cars, not people. I’m not the only one who left Silicon Valley as soon as I was able. Silicon Valley was another name for the area around Santa Clara, where all of the tech companies were building their headquarters. But it has sprawled east, west, north and south from there, and one concrete town bleeds into another. The young tech crowd, while still a nerdy bunch, have a different ideal for environment than the techy nerds I grew up with. And they don’t seem to want to live in this concrete jungle. They all want to live in San Francisco. And let me just say that San Franciscans aren’t all that happy about it. It’s kind of like the way the Arizonians and the Texans feel about their border crossers. But saying ‘go back where you came from’ isn’t working when all that money is changing hands. Now San Jose, a town that wasn’t even part of Silicon Valley originally, has a 30 year plan that hopes to change all that. Fast Company has done a really interesting story on the urban future of San Jose. Can a city built around a deliberate suburban framework reshape itself to be a more compelling urban environment? San Franciscans can only hope it can, and it will. 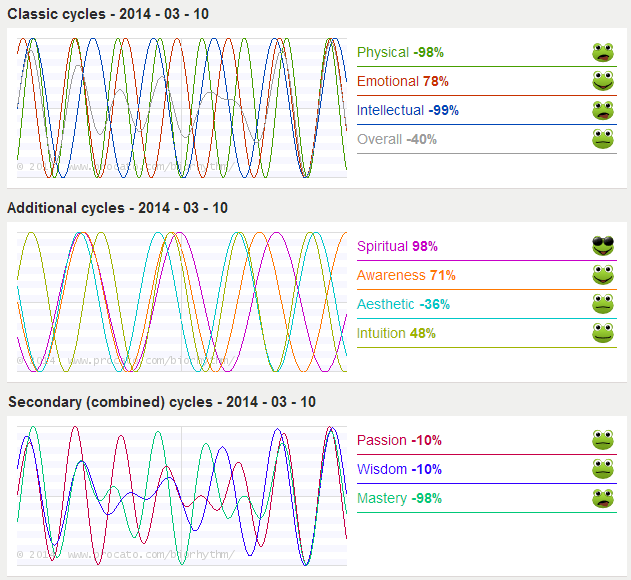 https://i1.wp.com/leslielaskinreese.com/wp-content/uploads/2015/04/biorhythms1.png?fit=631%2C580 580 631 Leslie http://leslielaskinreese.com/wp-content/uploads/2015/05/logo15.png Leslie2014-03-10 17:06:432016-08-16 20:00:06what do biorhythms have to do with silicon valley? …a compilation of interesting, and hopefully enlightening, information about the worlds of architecture, design and food. My belief is that by sharing what intrigues us, the world we create will become that much more remarkable. If you’d like this in your inbox…. At the core I am a story teller. I've been designing commercial interiors for over twenty years and writing for much longer than that. When I'm not working on a project I'm creating note cards, jewelry, a better way to get through daily chores, my own stories both true and not so much, a new garden, furniture, recipes. And most importantly relationships....with family, friends and clients. I live near San Francisco with hubby, one small dog and five chickens and spend a great deal of time texting my children who are away at college.